It seems like every level of our society is experiencing unprecedented spiritual attacks. The need for guarding our hearts and minds from damaging information has never been more critical than it is today. The purpose of the armor of God is to empower you to stand strong through any storm and to overcome any discouragement that is coming against you. You are invited to delve into this fresh perspective of our spiritual armor and gain insight into the ancient wisdom of protecting your soul. Receive God's gift today and let it provide a covering for any unguarded areas in your life. 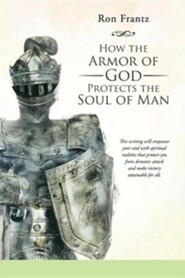 I'm the author/artist and I want to review How the Armor of God Protects the Soul of Man - eBook.